Businesses that go green can be eligible for loans and tax breaks. Tax relief and interest free loans are cost effective incentives for businesses to make the move towards environmentally friendly business practices. Why Don’t More Businesses in the UK Go Green? Many business owners do see energy efficient appliances as the way forward and would love to implement them into their business. But the up front costs of implementing green appliances can put business owners off the idea. There is more call for government incentives to help businesses implement energy efficient devices in the workplace. Availability to interest free loans is an incentive but even though the loans are interest free the actual loan does have to be repaid. For some small businesses this can still be an issue where financial budgets are concerned. What Are Green Business Loans? Interest free business loans are available from the Carbon Trust to small and medium enterprises (SMEs). The Carbon Trust is an independent company funded by the government. Loans can be between £3,000 and £100,000 and 763 businesses secured these loans in 2009. Loans are designed for SMEs that wish to replace or upgrade their business appliances with energy saving and energy efficient products. 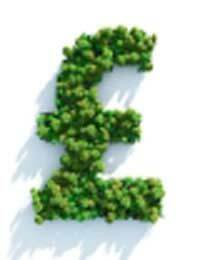 Reports have shown that businesses in the UK can save £2.5 billion per year by implementing energy saving appliances. How Long is the Repayment Period for Carbon Trust Loans? The loans from the Carbon Trust are designed to be repaid over a period of up to four years. These loans are interest free and the loan should be offset by the energy savings. Private sector businesses can apply for the green loans but these loans are not open to the public sector. To be eligible an SME should have 250 full time employees and an annual turnover of not more than £42.5 million. Company assets should not exceed £36.5 million to meet eligibility requirements. What Kind of Business Appliances Are Eligible? There are many types of business appliances that can be converted or purchased that will be considered loan worthy. Business appliances can include lighting, solar thermal systems, heating and heating controls, air conditioning and building insulation. Each appliance conversion is called a project and the Carbon Trust will assess all project applications. The above energy saving appliances are only a few of the many available that will be considered by the Carbon Trust. What Tax Breaks are there For Businesses Going Green? Businesses that buy low carbon emission cars can be eligible for a tax break. Businesses that invest in vehicles that have a carbon emission of 120gm or less per Km can receive a 100% allowance for the first year. Employees who use the low carbon vehicles during their own time will also be eligible for a taxable benefit. Businesses will also be eligible for lower vehicle excise duty on new vehicles purchased that have lower carbon emissions. What is an Enhanced Capital Allowance? Companies can go green and obtain 100% tax relief on the green purchases in the year the green products were bought. There are three different green qualifying schemes that can lead companies to receive 100% capital allowances during the first year. Companies that implement water conversation machinery, energy saving machinery or low carbon emission vehicles can benefit from enhanced capital allowance. Not only can businesses write off the capital cost of the energy saving appliances but these appliances should actually pay for themselves. How Can Climate Change Agreements Save Money? Businesses that agree to and sign a climate change agreement can receive an 80% decrease on tax for non domestic energy use. Business will be required to agree to implement energy saving appliances or low carbon emission cars. Signing a climate levy agreement can represent excellent tax savings for businesses. Energy efficient appliances such as low energy heating and lighting should also pay for themselves over a period of time. This scheme is set to run until 2017 subject to government approval. Energy efficient products and appliances do save money but this will not happen as soon as they are installed. It can take a number of years before the appliances actually pay for themselves. But tax breaks such as the climate change agreements can provide a significant saving. The more energy efficient appliances that are used within the workplace the more savings will be made in the long run.